At Apostles By-the-Sea we love Jesus and we want everyone to know the love and joy of living life in fellowship with him. We are convinced that life with Jesus is better than any other kind of life. Over and over in the Gospels we read about people who meet Jesus and he is never who they expected him to be. And when they meet him, something happens, something changes. People are never quite the same after they encounter Jesus. Some are fed. Some are healed. Some are forgiven. Some get mad! Some are known more deeply than ever before. Some are even raised from the dead! No one stays the same. During his earthly ministry, Jesus called people to himself and then sent them out to share his love with the world. These ‘sent ones’ are called Apostles - a word that means those who have been sent. That’s who we hope to be: People gathered together to worship God, to be nourished by his Word and Sacraments, and then sent out with his life, love, and grace into this world. That's our prayer for anyone who comes to one of our services. And we invite you to come - whether you live here full time or are here for vacation! And when you do come, we pray that you will have an encounter with Jesus. And no matter who you expect him to be, we hope that he will surprise you and challenge you. So come be fed and healed and forgiven! If you'd like to receive our emails, you may subscribe to our email list by filling out a short form on our Contact Page. Hurricane Michael Relief and Recovery Continues. Hurricane Michael Relief at Apostles By-the-Sea from Apostles By-the-Sea on Vimeo. ARDF: What does it mean to be Anglican? At Apostles By-the-Sea, we strive to be good stewards of all that God has given us. From the beginning, our goal has been to give generously to those ministries that make a difference. Giving generously is one of the ways we worship God, love one another, and unleash Heaven in this world! We are a young Church, funded entirely by your generosity. Our goal as a Church is to one day give at least 50% of all that we receive to missions and ministries that are actively unleashing Heaven here on Earth. Thank you for giving generously! Inviting kids to follow Christ, caring for them regardless of their response, and changing lives in the process. Working to end violence, abuse, oppression, and slavery by bringing justice to the poor. Joram was kidnapped by bandits and forced to be a child soldier at the age of nine when his village was attacked and his parents were crippled. Fr. John met him after his escape and now Apostles By-the-Sea makes it possible for Joram and his sister, Roset, to attend school. Our missionaries in Haiti with Konbit Haiti and Justice Water. 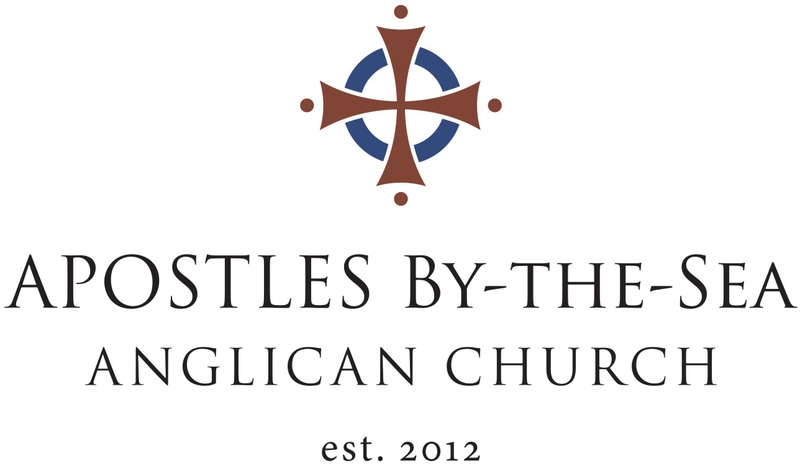 The official relief and development arm of the Anglican Church in North America. Email Fr. John Wallace to sign up. Holy Baptism is full initiation by water and the Holy Spirit into Christ’s Body the Church. In baptism God establishes an indissoluble bond with each person. He adopts us as his children, making us members of the Church and inheritors of the Kingdom of God. By receiving the Sacrament of Baptism we are made sharers in the new life of the Holy Spirit and the forgiveness of sins. Baptism is the foundation for all Church participation and ministry. 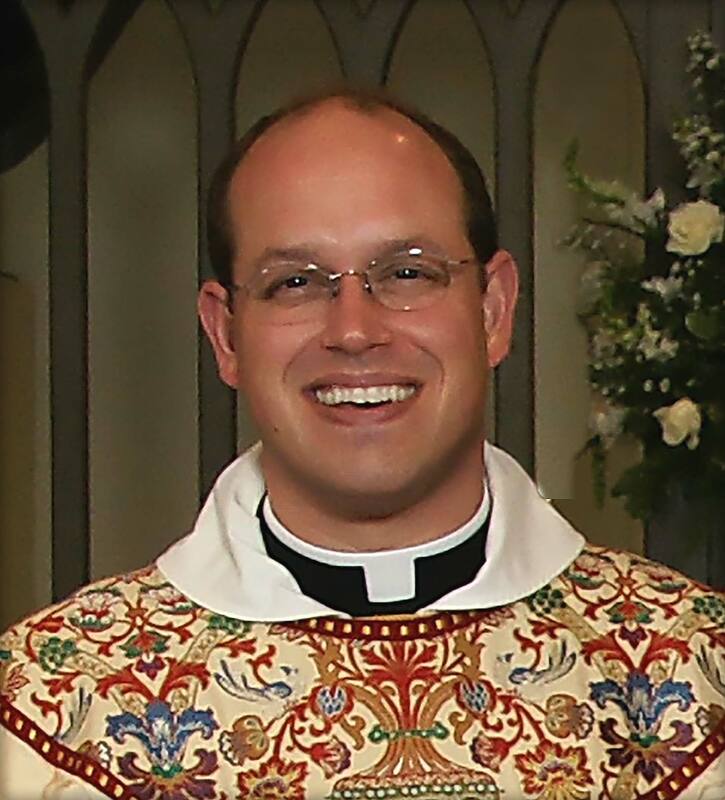 If you have never been baptized, and you would like to be, or if you would like to have your child baptized, or would simply like more information, contact Fr.John Wallace. Those who were baptized at an early age and those baptized as adults are expected to make a mature public affirmation of their faith, recommit themselves to the responsibilities of their baptism, and receive laying on of hands by a bishop in the Sacrament of Confirmation. Bishop Lebhar will be with us in May to welcome new members and offer the Sacramental rites of Confirmation, Reaffirmation, and Reception. Email Fr. John Wallace for more information or to sign up. April 28 at 11:15 a.m.
April 14, 2019 + 11:15 a.m.
Baptisms in the Gulf at 10:30 a.m.
Holy Eucharist at 11:15 a.m.
Easter Feast at 1:30 p.m.
April 28, 2019 + 11:15 a.m.
May 5, 2019 + 11:15 a.m. If you come to Church with your young children, we welcome you and thank you for making the effort to be here! 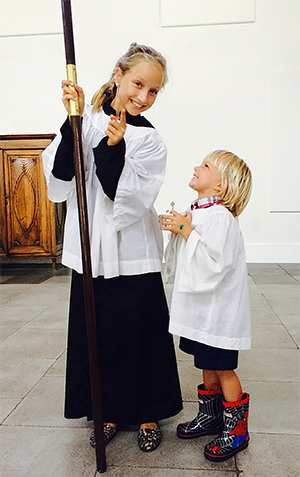 ​We believe that the way we welcome children in Church shapes the way they respond to our Heavenly Father and to Jesus, our Lord. So let them know that they are at home in this liturgical gathering. Let them know that they belong and that God loves them and wants them to be here! If desired, a nursery is available for our littlest children. For more information about how we welcome children in our worship services, or for more information about nursery, Acolytes, or Kids Church, click here. Find out how to get here on our Directions page. Find out more about what Anglican Christians believe on our What We Believe page. Subscribe to our email list by filling out a short form on our Contact Page.